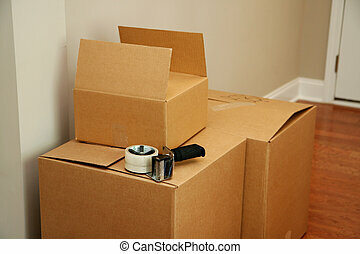 Cardboard boxes, moving day. 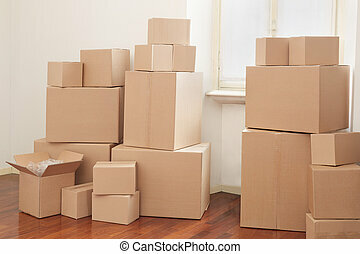 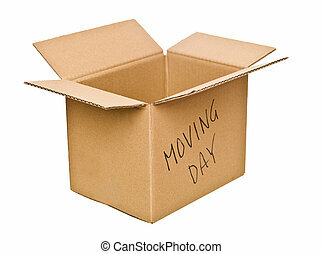 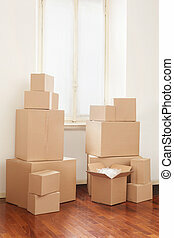 Cardboard boxes in apartment, moving day. 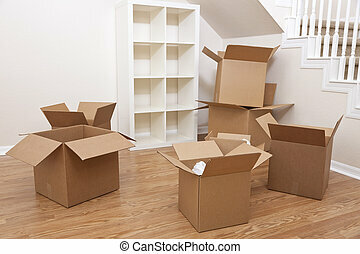 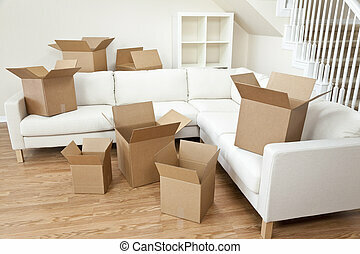 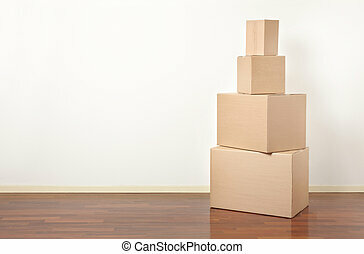 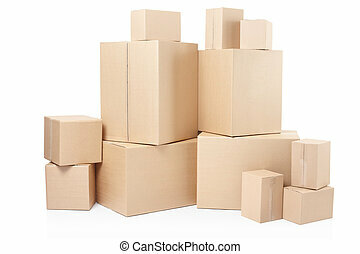 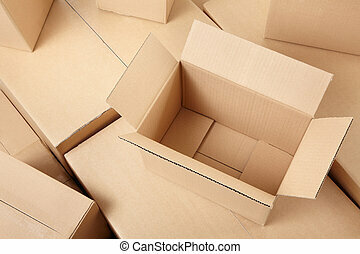 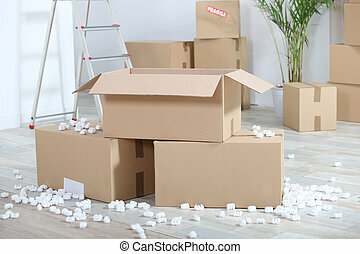 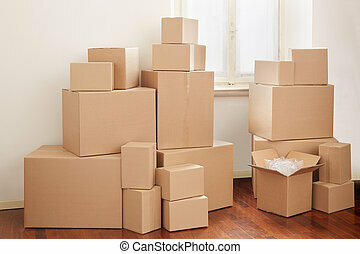 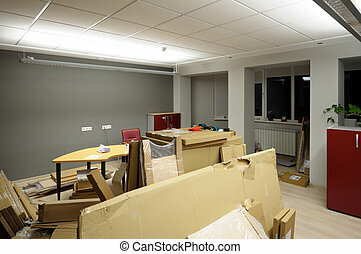 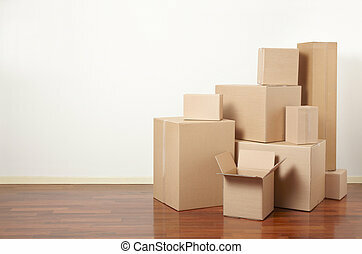 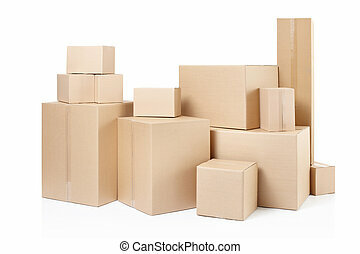 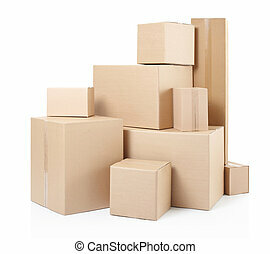 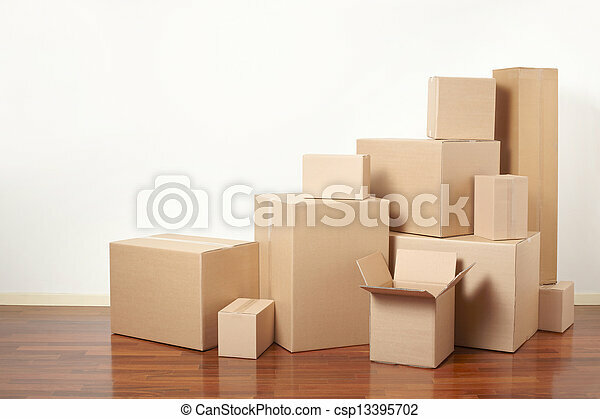 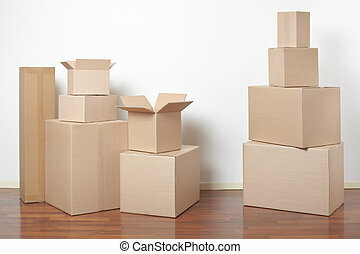 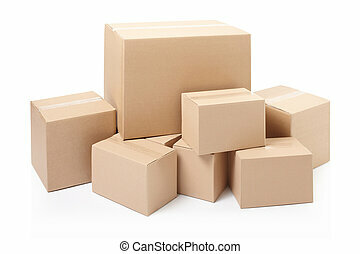 This photograph represent multiple cardboard boxes in a brand new office. 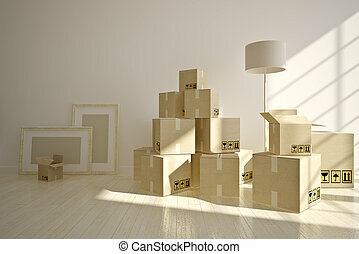 Great image for illustrationg a concept for new beginnings, moving business, excess. 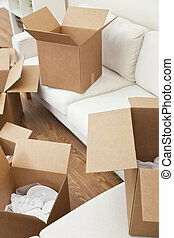 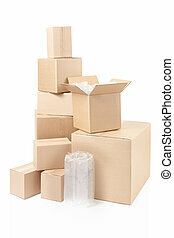 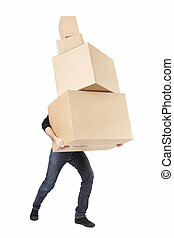 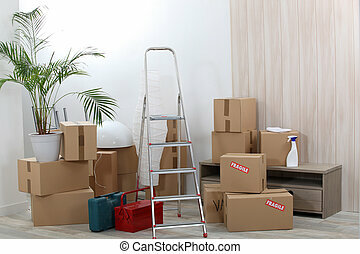 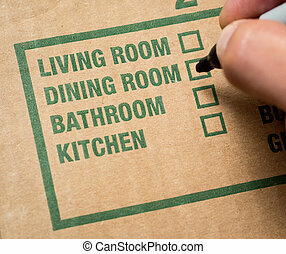 Attractive happy beautiful woman putting tape on cardboard moving storage boxes parcels preparing for mail, isolated.